AMA Sound is your one-stop mixing, mastering, post-production resource for high quality product at affordable prices. At AMA Sound we understand that quality product is an integral part of your careers' every day operations. We also understand that you can't spend all of your resources on polishing your music production. 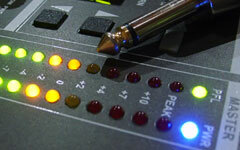 Mixing is a creative and technical process where we pay attention to both the large strokes and the fine details, e.g. volume levels, effects and equalization. If you have recorded your songs in your home studio or in any studio, our mixing services can help bring a great amount of professionalism into your finished product. Mastering is the final touch after the recording & mixing process. You've recorded your song / album in a pro or home studio & it's been finally mixed to CD. The music sounds great but you feel that it is sonically inferior to your favorite CD. 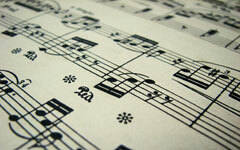 We ensure that your recordings are sonically in par with the big sound released by the majors. 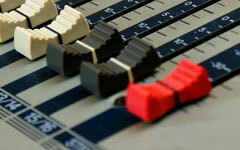 AMA Sound offers complete audio post production service for television, video, radio, multimedia and internet. Our post-production suite can also be in service of musicians, vocalists, bands who need background music for their projects. We will make suggestions and provide solutions that we will choose together. 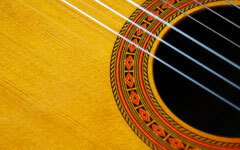 Add-ons is a brand new feature, with which we are very proud to provide you with luxurious options of upgrading your mix production using real human 'Pro Session Players' and 'Real Instruments' ranging from the classical and modern to authentic world and ethnic instruments including operatic and ethnic vocals that will sing any word or phrase you want. AMA Sound did something really good. I didn't expected that massive quality and professional help. I'll definitely hire them again! I am very satisfied with the help and support I have gotten from AMA Sound. Their work truly enhanced my compositions. I strongly recommend contracting AMA sound for mixing or mastering your musical pieces! Should you record at 24 bits?